Is San Francisco ready to end its Breed Specific Discrimination? 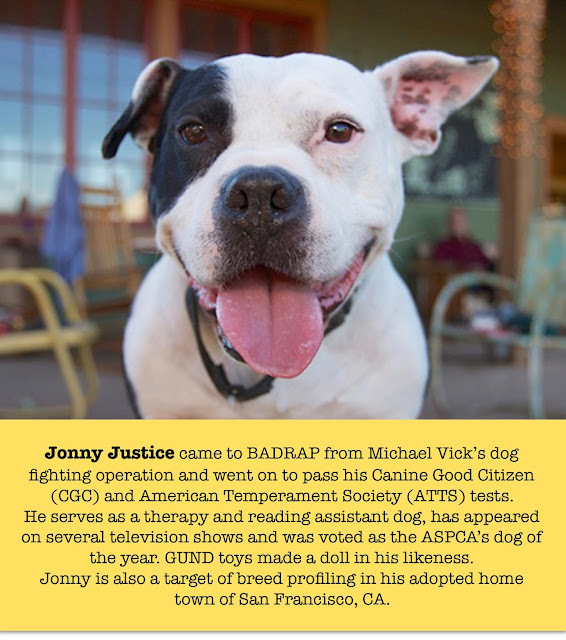 EDIT: Jonny made new friends in SF city gov't after his meeting but as of December 2016, there has been no indication that SF wants to end its discriminatory policy and language towards blocky dogs. Breed specific mandates endorse discrimination and profiling of all kinds, including and especially breed bans by landlords and insurance companies. Cris experienced San Francisco's BSL first hand when he was out walking Jonny's sister dog Lily. He told us that, two blocks from their home in the Sunset district, "a uniformed ACO in a white Chevy Astro van, with the SFACC (San Francisco Animal Care and Control) logo on the door pulled up and stopped in the middle of the cross walk, blocking our path. He rolled down his window, and asked 'Is your dog neutered?'" Lily was spayed back when she was a BADRAP foster dog, but if she hadn't seen the vet for this procedure yet, the ACO would have been within his right to confiscate her until Cris paid fines and surgery costs. If Cris had been unemployed or otherwise unable to afford the fees, he would risk losing custody of Lily altogether. 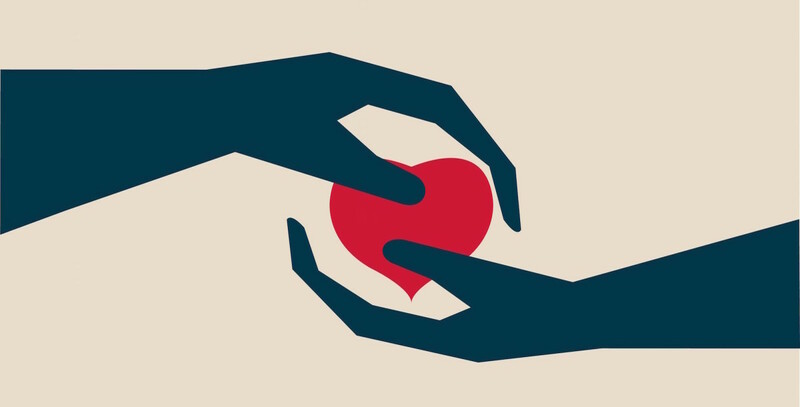 In fact, we've interviewed several under resourced SF dog owners who had to make the terrible decision to surrender their dogs to an unknown fate at SFACC when faced with the same situation. Targeted dog owners in SF who are resistant to the strong arm approach to neutering have told us that they just avoid walking their dogs - No training classes, limited socialization, and in a densely populated city where the need for proper training and socialization can be crucial. Back in 2005, after a dog related fatality involving a young boy whose mother locked him in their house with two very troubled dogs who were mating, San Francisco retaliated by categorizing all pit bulls as "higher risk dogs" and started targeting pit bull owners with a mandatory spay/neuter (MSN) law. They were working from the belief that a dog's behavior could be predetermined by its breed make-up, a bias that has been discredited by dog experts in several ways, including peer reviewed studies. Animal welfare organizations have long condemned MSN policies, citing a long list of reasons including enforcement problems, opting for effective, voluntary spay/neuter programs instead that focus on building safe, humane communities through breed neutral laws and owner education/support programs. CNN noticed SF's pet retention problem when they ran an article last summer entitled 'No dogs allowed: San Francisco's pet housing crisis.' 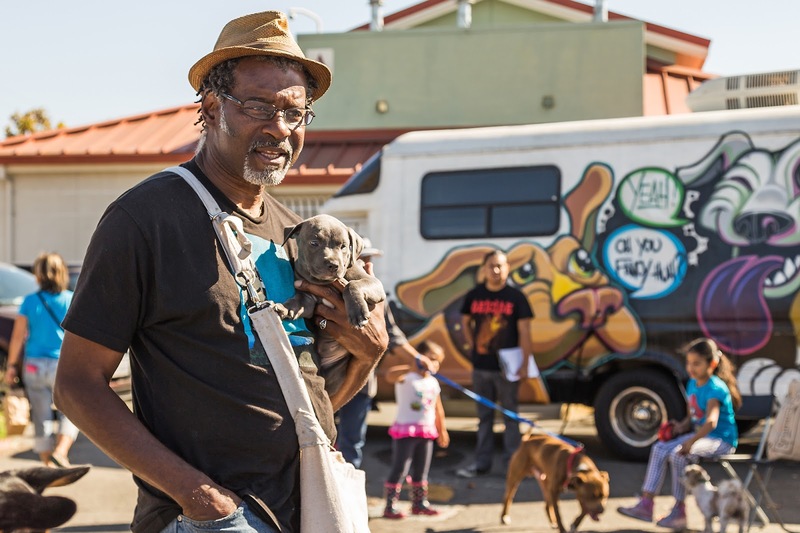 Said to be three times worse that NYC's housing situation, they noted that, "According to San Francisco animal welfare nonprofit SF SPCA, there's been a surge in owners abandoning their pets due to an inability to find pet-friendly housing." Pit bulls are counted as one of the top five most popular dog breeds in CA (source: Banfield) yet tend to suffer the most when renters can't find housing. 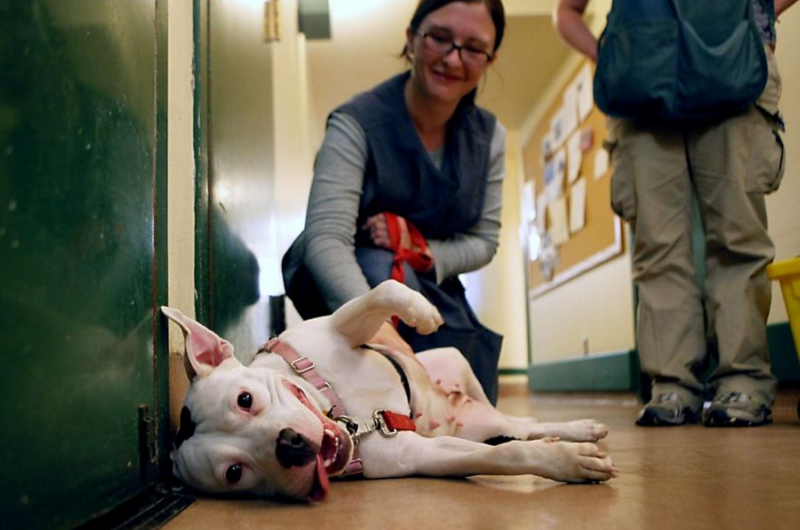 As of this writing, 70% of the dogs at SF's city shelter - 16 out of 23 - are adult pit bulls who've lost their homes (source: petharbor.com). We are hard pressed to offer realistic advice to desperate SF pit bull owners who contact us for help during a dead end housing search. 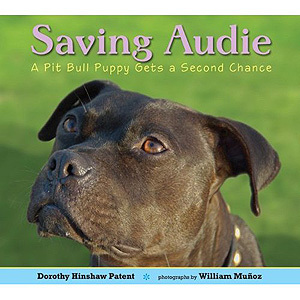 The law that was meant to curb irresponsible breeding and lower shelter intake numbers has instead cast an ugly light on pit bulls, and at a time when landlords are especially reluctant to rent to dogs over 30lbs. Vinegar, Honey or Good Old Fashioned Respect? Being targeted as a potential criminal made a lasting impression on Cris Cohen. He said that the day he was stopped, "the ACO acted like a jerk. It really could have been a friendly positive interaction, but it was anything but." See a typical Oakland-based voluntary spay/neuter event in action. It's our hope that Board of Supervisors President London Breed receives Jonny's information with an open mind. Blatant discrimination of dogs or their people should never be tolerated, especially in a world-class city like San Francisco, and especially during a pet-friendly housing crisis. If anyone can move the needle on breed discrimination, little Jonny can. We encourage dog lovers to show your support for ending breed discrimination in San Francisco. Brief, considerate emails can go to Supervisor Breed and other board members at these email addresses. Thank you.